Background In many global settings, medical language acts as a barrier to accessing and using health services. However, this issue remained unexplored in Bangladesh, where the non-native English language is commonly used for health care. Aim To examine whether medical language is an obstacle for obtaining health services in Bangladesh and to provide policy recommendations. 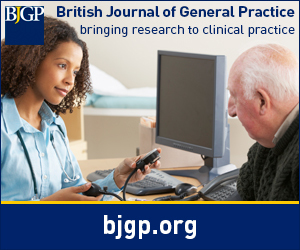 Design & setting An exploratory study was undertaken to identify the impact of medical language on general practice. Data were collected online from Bangladeshi people between July–November 2014. Method A semi-structured questionnaire was developed through Google Forms for data collection. The snowball technique was applied to obtain data purposively from 50 participants. With prior consent, the questionnaire along with the online link was sent to responders by email. When responders clicked on the 'submit' option of the questionnaire, responses were stored online automatically in the pre-built system. Quantitative data were analysed using SPSS (version 22). Textual data analyses (especially of suggestions of the responders) were conducted using a thematic approach. Results Among study participants, 44% (n = 22) said that English language was the choice for writing prescriptions by health service providers in Bangladesh, and 26% said that a mixture of Bengali and English was used. Around 30% of the study participants could not understand medical language used by doctors (this includes those who were not sure or preferred not to say). Among responders, 78% said that medical language was affecting the treatment process and 48% were of the opinion that it was acting as a barrier in receiving health services. Conclusion Medical language is acting as a barrier in the health services of Bangladesh. Tailored interventions must be developed and implemented to overcome medical language barriers in health services in order to strengthen the health system.